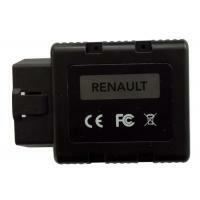 -COM Bluetooth is dealer level diagnostic and programming advanced device for vehicles. It can access to various electronic control units (ECUs) such as Engine, Gearbox, ABS, Airbag/SRS. It can display identification, read and clear fault code memory, display and record measured values and perform actuator tests. Our OBD2 to -COM interface contains eight piceses of ISO9141 K-Line, one piece of ISO9141 L-Line, CAN-BUS and analog measurement circuits.